Lollapalooza organizers today revealed the full lineup for the 2019 festival, set for Aug. 1-4 at Chicago’s Grant Park. Electronic artists of interest include Flume, The Chainsmokers, Rufus Du Sol, Alesso, Gud Vibrations vs Slugz Music, Louis the Child, RL Grime, Madeon, Gryffin, San Holo, Snails, Fisher, Mitski, FKJ, Boombox Cartel, Matoma, Deorro, Manic Focus, Whethan, Party Favor, Loud Luxury, Lane 8, DJ Diesel (Shaq), Said the Sky, Camelphat, Clozee, Elephante, Crizzly, Whipped Cream, Shaed, Charlesthefirst, Win and Woo, and many more (see full lineup below). 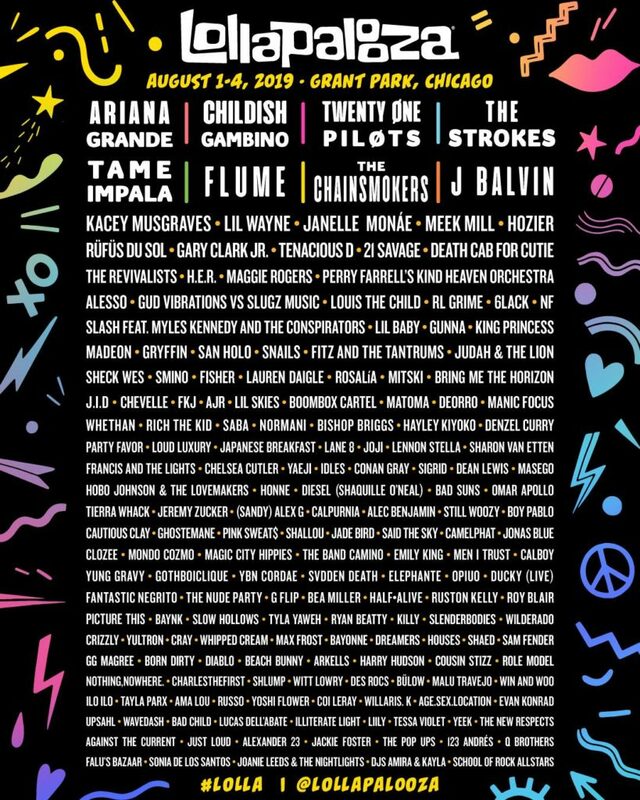 Other headliners include Ariana Grande, Childish Gambino, Twenty One Pilots, The Strokes, Tame Impala, J Balvin, Kacey Musgraves, Lil Wayne, and more. 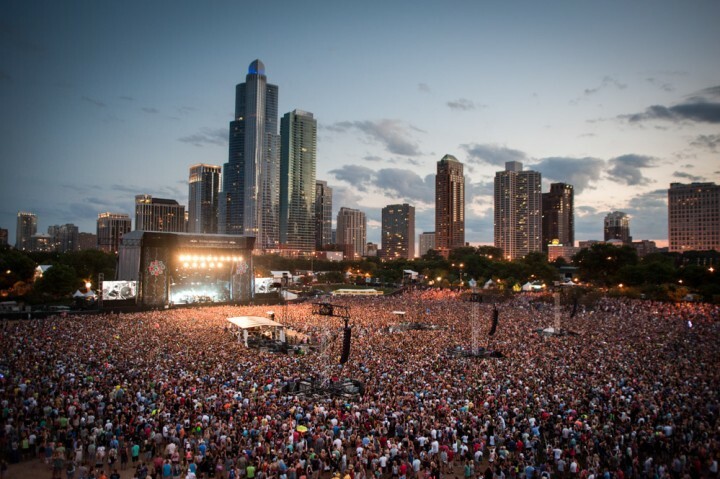 Lollapalooza tickets are on sale now, starting at $340 for a four-day general admission pass.